Get ready for another historical crime wave. 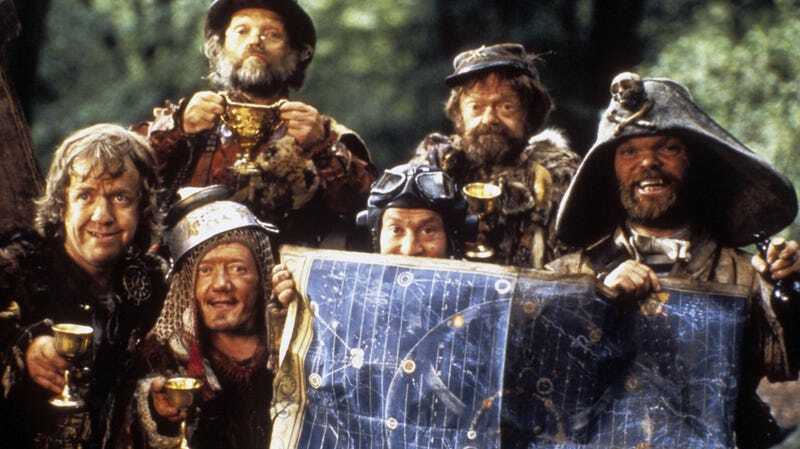 In the early 1980s, Terry Gilliam’s time-travel fantasy Time Bandits was considered so risky that at first, nobody wanted to fund it. Of course, it ended up being a critical and commercial hit that’s still beloved today—so much so that Apple wants to turn it into a TV series. As you may recall, Time Bandits was once under consideration for a remake that would retool the tale as a kid-friendly action franchise—which, despite the fact that the movie’s main character is an 11-year-old history nerd, was a terrible idea considering how Monty Python-weird and dark the movie is (two words: that ending). The potential TV adaptation’s been on the wind since late 2015 when Gilliam himself offhandedly mentioned it in an interview. According to Deadline, Apple’s series will have Gilliam, the original film’s director and co-writer, aboard as a “non-writing executive producer.” Beyond that, there’s no information about how close the Time Bandits TV series might keep to the film, which is about a kid named Kevin who’s drawn into time-traveling adventures after a fateful encounter with a group of dwarfs who’ve been zipping through space and time with the help of a magical map. Between stealing stuff and hanging with actual historical figures like Robin Hood (played in the movie by John Cleese), the group is also pursued by the Supreme Being (pretty much God) and Evil, both of whom want the map for their own purposes. Obviously, there’s already a lot there for Time Bandits TV show to draw on, and hopefully, Apple will do justice to the original movie’s fantastical sets and quirky tone. There’s no word yet on when Time Bandits might be ready for streaming; the tech giant’s other in-the-works genre projects also include a fresh version of Steven Spielberg’s beloved anthology series Amazing Stories.